36-month lease with $2,799 due at signing and approved credit through Honda Financial. No security deposit required. Additional charges may apply at lease termination. Price is plus sales tax, $184 private tag agency fee and titling, any dealer installed accessories and dealer service fee of $899, which represents cost and profits to the selling dealer for items such as cleaning, inspecting, adjusting new vehicles and preparing documents related to the sale. See dealer for details. Expires 4/30/2019. Highly-versatile and extremely fun to drive, the new Honda Civic comes in 3 exciting body styles to fit your needs. The Civic Coupe offers an athletic look that matches its sporty drive. Meanwhile, the Civic Hatchback has an easy-to-access rear hatch that has all the cargo room you need for your active lifestyle. Finally, the Civic Sedan displays a daring and bold design with a sophisticated interior to match. Every drive behind the wheel of a Civic is a blast, thanks to its 50+ technology features, including available Apple CarPlay™ and Android Auto™. 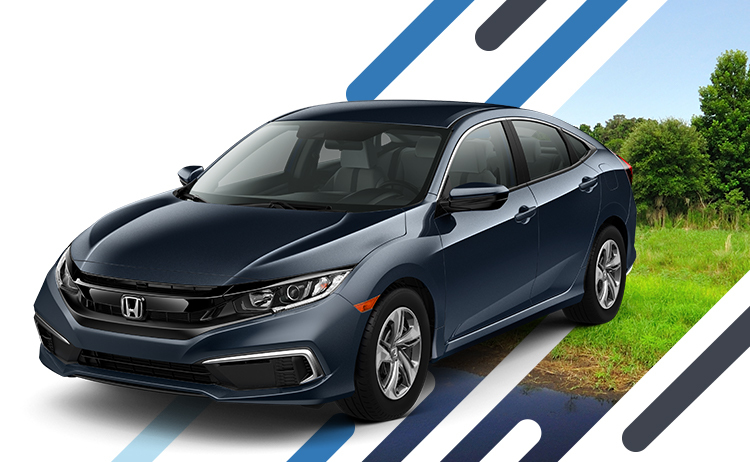 Underneath the hood of the Honda Civic lies a standard 158-horsepower 4-cylinder engine, which delivers a balance of athletic and efficient performance. The Civic also offers an available 174-horsepower turbocharged 4-cylinder engine, which can achieve an EPA-estimated 42 MPG highway. Drivers in Gainesville, Ocala and Jacksonville, FL can experience the sporty Honda Civic compact car at Honda of Gainesville today. 36-month lease with $2,199 due at signing and approved credit through Honda Financial. No security deposit required. Additional charges may apply at lease termination. Price is plus sales tax, $184.00 private tag agency fee and titling, any dealer installed accessories and dealer service fee of $899, which represents cost and profits to the selling dealer for items such as cleaning, inspecting, adjusting new vehicles and preparing documents related to the sale. See dealer for details. Expires 4/30/2019. Like a long-distance runner, the Honda Fit subcompact car doesn’t like to stop for breaks. That’s why it avoids regular trips to the gas station thanks to its EPA-estimated 40 MPG highway with available continuously variable transmission. Meanwhile, its available Eco Assist coaching system allows you get the most out of every gallon by helping you become a more efficient driver. Despite the Honda Fit’s small frame, it delivers big-time safety. Its available Honda Sensing® offers a suite of innovative safety features, such as a Road Departure Mitigation System and a Lane Keeping Assist System. Drivers in Ocala, Gainesville and Jacksonville, FL can upgrade to the subcompact car that has it all. 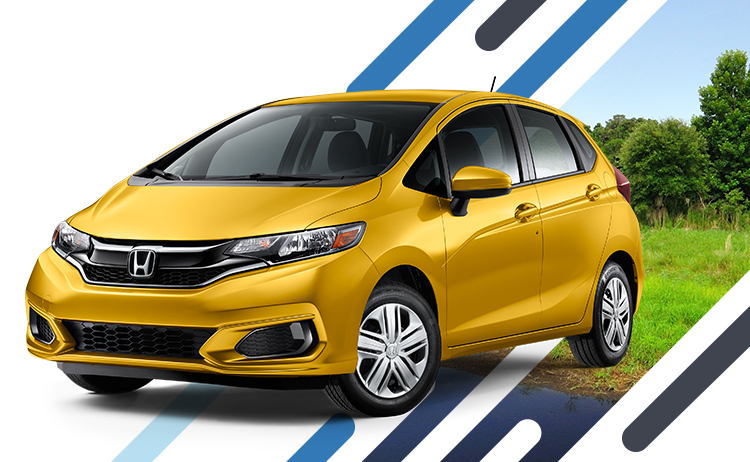 Test-drive the new Honda Fit here today. 36-month lease with $2,399 due at signing and approved credit through Honda Financial. No security deposit required. Additional charges may apply at lease termination. Price is plus sales tax, $184.00 private tag agency fee and titling, any dealer installed accessories and dealer service fee of $899, which represents cost and profits to the selling dealer for items such as cleaning, inspecting, adjusting new vehicles and preparing documents related to the sale. See dealer for details. Expires 4/30/2019. The Honda CR-V compact SUV doesn’t just seat 5 passengers; it surrounds them with comfort and safety. The CR-V offers a host of luxurious touches, such as its available 12-way power adjustable driver’s seat to its 1-touch power moonroof. Meanwhile, passengers will enjoy its litany of available tech options, such as Apple CarPlay™, Android Auto™ and a 7-inch touchscreen display. While all these smart technologies help enhance the CR-V’s driving experience, its smartest technologies are the ones that help keep its driver and passengers safe. With available Honda Sensing®, Gainesville, Ocala and Jacksonville drivers will get the latest cutting-edge safety technologies, including Lane Keeping Assist System and Collision Mitigation Braking System™. See why more and more drivers in Gainesville, Jacksonville and Ocala are putting their trust in the compact SUV that goes the extra mile to protect its passengers. 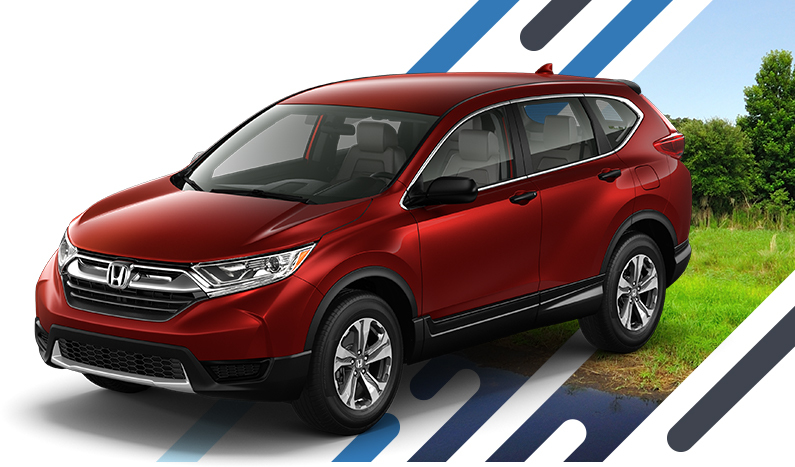 Upgrade into the new Honda CR-V at Honda of Gainesville. 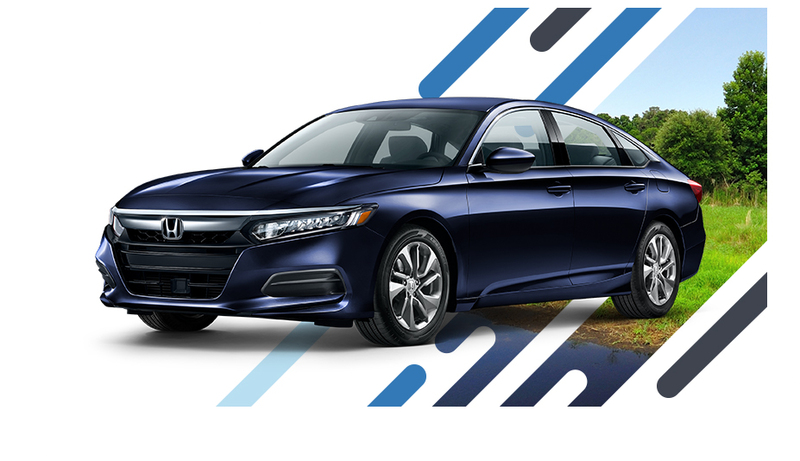 With a touch more class than the rest of its class, the new Honda Accord mid-size sedan welcomes drivers to the sophisticated side of driving. Its high-quality cabin offers upscale available features such as Driver Seat Memory, Ventilated Front Seats, a leather-trimmed interior and a Head-Up Display. Meanwhile, it comes with your choice of 3 powertrain options – the standard 1.5L turbocharged 4-cylinder engine, available 252-horsepower 2.0L turbocharged engine and available hybrid engine. The new Accord offers its cutting-edge Honda Sensing® safety technology as standard equipment. This suite of safety systems includes a Collision Mitigation Braking System™, a Road Departure Mitigation System, Adaptative Cruise Control with Low-Speed Follow, a Lane Keeping Assist System and Traffic Sign Recognition. Drivers in Gainesville, Jacksonville and Ocala, FL can get the new Accord in 6 remarkable trim levels – LX, Hybrid, Sport, EX, EX-L and Touring. To find out how the Accord family is the right fit for your family, visit Honda of Gainesville today. 36-month lease with $2,499 due at signing and approved credit through Honda Financial. No security deposit required. Additional charges may apply at lease termination. Price is plus sales tax, $184.00 private tag agency fee and titling, any dealer installed accessories and dealer service fee of $899, which represents cost and profits to the selling dealer for items such as cleaning, inspecting, adjusting new vehicles and preparing documents related to the sale. See dealer for details. Expires 4/30/2019. Your odyssey to find a new family vehicle at a Gainesville Honda dealership is finally over. 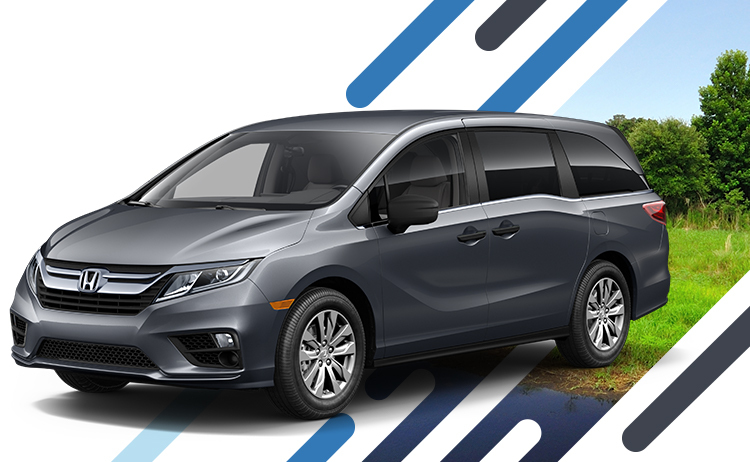 The 2019 Odyssey makes minivans look cool with its sensational exterior style. The interior is spacious and practical, with optional Magic Slide 2nd-Row Seats™ and up to 7 total seats with the optional 3rd-seating configuration. The most impressive feature of the Honda Odyssey may be its 3.5L V6 engine, which kicks out 280 horsepower. This impressive engine is paired with a 9-speed automatic transmission for optimal smoothness and fuel efficiency. Honda is known for safety, and the 2019 Odyssey shows why with a standard rearview camera and the optional Honda Sensing® package of safety features. The trims of the 2019 Odyssey run from the affordable LX up to the premium Touring. 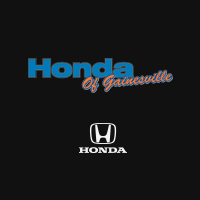 If you’re in Jacksonville, Ocala or elsewhere in the Gainesville area, visit Honda of Gainesville for a test drive. Based on model year EPA. Use for comparison purposes only. Your MPGe/MPG and driving range will vary depending on driving conditions, how you drive and maintain your vehicle, battery-pack age/condition and other factors.